StoryArts Festival Ipswich brings you award winning authors, illustrators, storytellers and performers from all over Australia. This year we have someone from every state and territory except NT. We are even bringing you special guests this year from Singapore and New Zealand. Explore the information below and find out more about what they will be up to at the Festival this year. Plan to buy their books and collect autographs from these top creators of story. You might notice this year that a lot of the presenters have created story with a Science, Technology Engineering and Maths focus. Add the Arts and you have STEAM! Lance Balchin grew up in the inner Melbourne suburb of Collingwood and now lives in Brisbane. He comes from a background of art, fashion and skateboard photography and has taught adults in these areas for fifteen years. He holds a Masters in Arts and also recently completed a law degree. Having always enjoyed story telling, Lance draws on literature, history and science in his writing. He started using Photoshop in 1991 and a quarter of a century later has developed a comprehensive understanding of it as a creative tool in both portrait photography and illustration. Although he spends most of his life in front of a computer, he can be seen most weekends wobbling around the Paddington skateboard park with his 12 year old son Frank. His first book 'Mechanica' has been shortlisted in the 2017 CBCA Picture Book of the Year Awards and 'Aquatica' came out early this year. Trace Balla is often found sketching in nature, riding her bike, dancing, and growing vegies in her garden in central Victoria. She loves to illustrate and write songs and stories, and inspire others in their creativity and care for the planet. Her books 'Rivertime', 'Rockhopping' and 'Shine', were highly acclaimed, and her latest book is 'The Thank You Dish'. She is currently working on a graphic novella set in her home town. Trace will show students how she makes her books, from journal sketches out in nature, to storyboarding, to finished artwork. Students will have a go combining sketching and words to make a postcard. Tanya Batt is a self confessed story-o-phile and frock-o-holic. Hailing from Waiheke Island, Aotearoa, New Zealand she is a South Pacific pirate princess, a black butterfly, a word warbler and story stitcher who channelled her childhood propensity for talking and her love of dressing up into a real ‘imaginary job’. Stories have put food on her table and a roof over her head near a quarter of a century enabling her to share her work in over 20 countries. 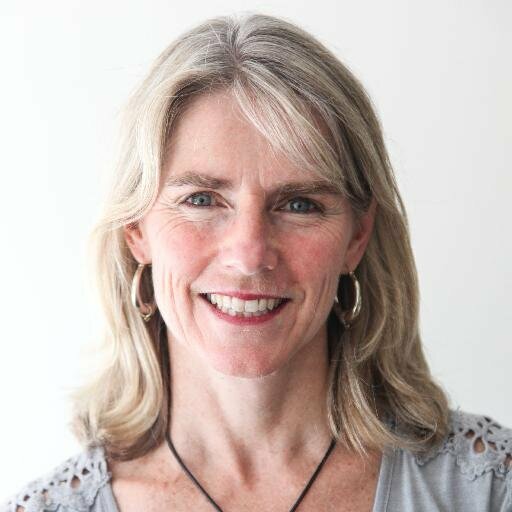 She is the creative director of the ‘Once Upon An Island Charitable Trust’ that uses storytelling extensively on Waiheke Island for community building & environmental and cultural education. Highly interactive,thought provoking, lively storytelling which draws up both traditional stories from around the world and original stories by Tanya Batt. Dance a story, move a story, see a story, say a story - Tanya Batt shares with you a myriad of ways of sharing stories with children. From the Japanese art of the Kamishibai to stories to shake you socks off - a fun interactive and practical session. Best suited to teachers working with children from 4 - 10 years. 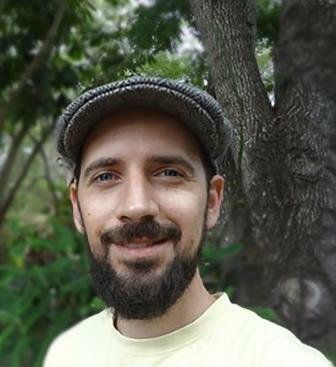 Michael Gerard Bauer: When Michael’s early ambitions of becoming a samurai warrior, a ninja or a famous singer-songwriter didn’t eventuate, he followed his love of words and stories and became an English teacher instead. In 2000 he resigned from teaching to pursue his real dream of writing. Today Michael is a multi award-winning author. 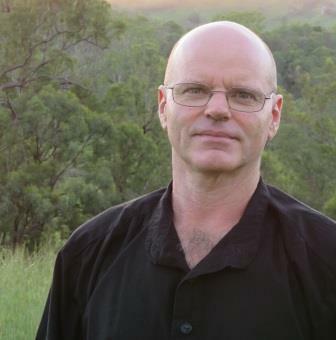 His first novel 'The Running Man' won the 2004 CBCA Book of the Year for Older Readers and was short-listed for other awards both here and in Germany and Italy. His other works include the very funny 'Don’t Call Me Ishmael!' (CBCA Shortlist 2007, Children’s Peace Prize winner 2007) and its sequels 'Ishmael and the Return of the Dugongs' and 'Ishmael and the Hoops of Steel' (CBCA shortlist 2012), 'Just a Dog' (CBCA Honour Book 2011, Qld Premier’s Award winner 2011), 'Dinosaur Knights' and the popular 'Eric Vale' and 'Derek ‘Danger’ Dale' series for younger readers both of which are fully illustrated by his film-maker son Joe Bauer. Joe’s hilarious trailers for both series can be viewed on YouTube. These days Michael is a full-time writer who is in high demand for talks at schools and festivals around Australia. He has also presented at schools in Jakarta, Abu Dhabi and Guangzhou, China and festivals in Munich and Edinburgh. His books, which are regularly set as school texts, are now sold in over 40 countries and currently translated into 12 languages. Thurs Sept 7 Gr 3/4: Dog Tales and Epic Fails - Stories behind the inspiration and creation of JUST A DOG and the ERIC VALE and DEREK 'DANGER' DALE series. Fri Sept 8 Gr 7/9: Don't Call Me Ishmael or Maggles! - Everything you needed to know, and a lot of stuff you probably didn't, about the ISHMAEL series and THE PAIN etc and ME. Christine Bongers has written for a living all her adult life and is now happiest writing fiction. She has worked as a radio and television journalist in Brisbane and London, written and produced two environmental television documentaries, and run her own media consultancy. Since completing her Master of Arts (Research) in youth writing in 2008, she has published three critically acclaimed novels for young people. Christine’s debut novel 'Dust' was inspired by her childhood growing up with six brothers in Central Queensland. Dust was a CBCA Notable Book for Older Readers and Highly Commended in the Prime Minister’s Literary Awards for Children’s Fiction. Her second novel 'Henry Hoey Hobson' was shortlisted for CBCA Book of the Year for Younger Readers, the WA Premier’s Book Awards and the Queensland Premier’s Literary Awards. Christine’s latest novel for teens, 'Intruder', won the Davitt Award for Best Debut Crime Book and was shortlisted for the 2015 CBCA Book of the Year for Older Readers. She is currently working on a middle-grade novel 'How to Destroy Earth' – Part One. Christine is a popular speaker and mentor on the craft of writing and the pleasures of reading. She loves life in Brisbane with her husband, kids and their naughty but nice beaglier, Huggy. Christine will talk about "Making real life into fiction"
I read, write and love children's picture books. My most recent book,'All I Want for Christmas is Rain' (New Frontier, 2016), was short listed by the CBCA in its Early Childhood category. My second book was 'Fearless with Dad' (New Frontier, 2015). My first book was 'Max & George' (Penguin, 2013). I have always loved children's picture books and being published is a dream come true! I find inspiration everywhere, but especially from my own family, social issues and the news. I have a double degree in law and media and communications. I work full time as a public servant for the Federal Government and live in Sandgate with my husband, son, labradoodle and ginger cat. Peter Carnavas writes and illustrates books for children and the grown-ups in the their lives. 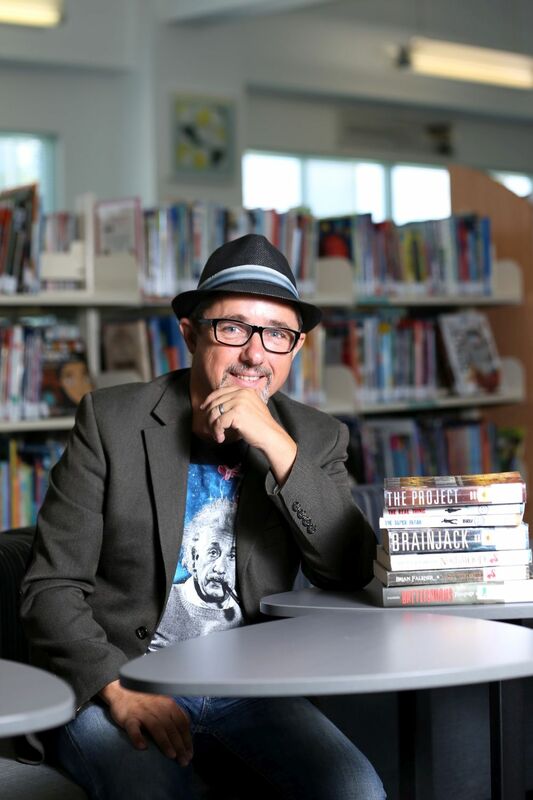 His first book, 'Jessica’s Box', was shortlisted in the Queensland Premier’s Literary Award and the CBCA Crichton Award for Emerging Illustrators. He has since created many books, including 'Last Tree in the City', 'The Children Who Loved Books' and 'The Boy on the Page'. His picture book, 'Blue Whale Blues', about a whale with bike trouble, won the Society of Children’s Book Writers and Illustrators 2016 Crystal Kite Award (Australia region). 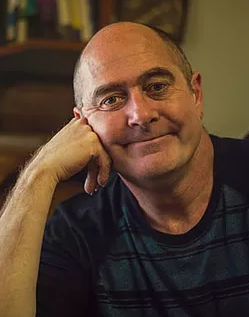 Peter has worked with author Pat Flynn on 'My Totally Awesome Story', and illustrated Damon Young’s series of picture books that celebrate family diversity, including the ABIA winning 'My Sister is a Superhero'. His latest books are 'My Brother is a Beast' (in the Damon Young series) and 'The Elephan't, a novel about a girl who tries to cheer up her father by chasing away an elephant that nobody else can see. Peter will present sessions based on his new books 'My Brother is a Beast' and 'The Elephant'. Sessions involve illustration, writing tips, reading, hands-on fun and the opportunity to ask Peter questions. Peter’s favourite question (so far) is: Do you scratch your beautiful beard when you’re thinking of ideas? More than anything, Peter will get you excited about books - reading them, writing them, illustrating them and talking about them. Charmaine Clancy is a local author of children's humour, horror and mystery novels including the popular, 'My Zombie Dog'. She is a very animated storyteller and encourages children to write creatively. 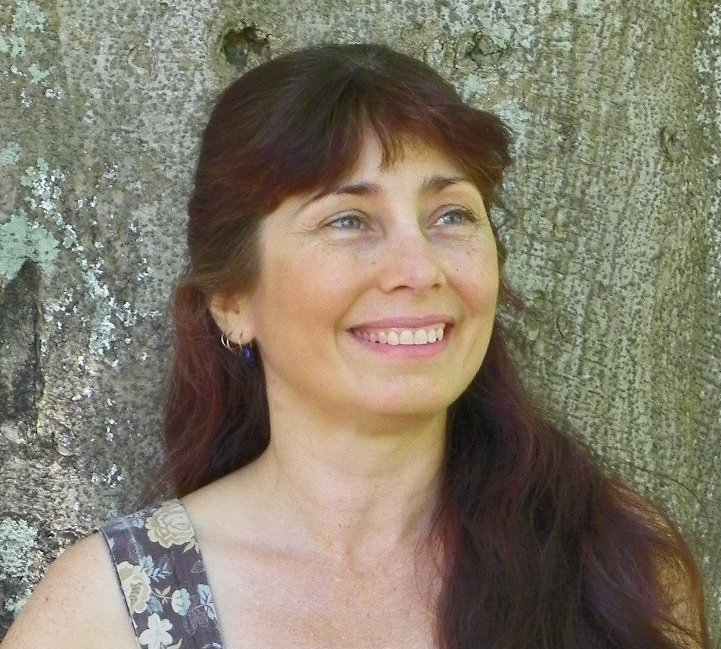 Charmaine is also host of Australia's most-loved retreat for writers, the Rainforest Writing Retreat and presents workshops on the craft of writing. She is passionate about helping emerging writers become authors, so come along and have a chat. Panel discussion about the journey of self-publishing. Learn the mistakes to avoid, the shortcuts worth taking and the rewards that come from creating your own publishing house and becoming a recognised author. Honest and helpful advice. Focus - Exploring literacy with fun - through rhyme, music, puppets and art. Students will join Chris with some animal impersonations of their own as he reads his first book, Funky Chicken: A Bushy Tale of Crocs and Chooks - 10 mins Chris uses puppets, music and movement to engage with the children. Chris will explain what inspired him to write his books. 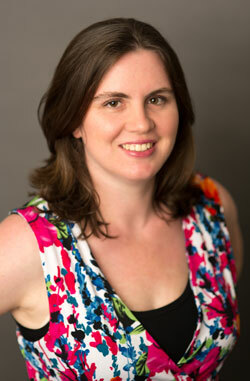 Aleesah Darlison is a multi-published, award-winning Australian children’s author. She has written over thirty-five books for children including picture books, chapter books, novels and series. Aleesah has won numerous awards for her writing including the 2015 Environment Award for Children’s Literature (Non-Fiction) and an Australian Society of Authors (ASA) mentorship. Her novels include the Little Witch Series, Running from the Tiger, Awesome Animal Stories for Kids, the Netball Gems Series, the Unicorn Riders Series, and Ash Rover: Keeper of the Phoenix. Her picture books include Spider Iggy, Little Meerkat, Warambi, Puggle’s Problem, Our Class Tiger, Stripes in the Forest: The Story of the Last Wild Thylacine and Mama and Hug (koalas). Aleesah travels throughout Australia and internationally delivering talks and workshops to children and adults at preschools, schools, libraries, literary festivals and writers’ centres. Her 8-book fantasy adventure series, Unicorn Riders, has recently been released in hardcover and paperback in the US. Aleesah Darlison’s popular fantasy novels and series are action-packed adventures that children take to their hearts. In this session, Aleesah will show students how they can create their own fantasy characters and worlds. They will also explore traditional and fractured fairytales in a session that includes loads of audience participation and hilarious role play. 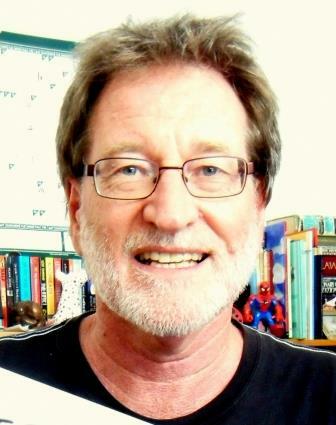 He is the award winning author and illustrator of 'Silly Birds' (winning awards and being showcased in Australia, Italy, U.K. and the U.S.A.); 'Kookoo Kookaburra' (winning awards and being showcased in Australia and Germany); 'Mad Magpie' (Longlisted for the Australian Book Industry Awards 2017); and the just released 'Why are you Smiling'. All of these stories are about teaching morals. They address friendship, kindness, tempers and bullying. Gregg is also the illustrator of Di Irving’s retelling of the classic story 'Tiddalik the Frog', and Elaine Ousten’s second megafauna picture book. Gregg's performances take his audience back in time to traditional stories that have remained the same for thousands of years, and include explanations that lead to modern tales. All of his sessions include: music; audience interaction; really really really bad jokes and morals. Brian loves telling stories, either in his best selling books, or standing in front of an audience of students. He's the award winning author of fifteen books for children and young adults, published in over twelve countries in seven different languages including 'The Real Thing' and 'The Flea Thing'. For the last eight years Brian has also been touring the world teaching and coaching students in creative writing. His energy and humour make his workshops a fun and rewarding experience for young writers and his sessions are in high demand. For sessions at Firestation 101, we are hoping to include a Virtual Reality Experience for chosen students. Her Inspector Singh Investigates novels are published by Little, Brown and have been translated into many languages including French and German. Her seventh and most recent is Inspector Singh Investigates: A Frightfully English Execution. Shamini also writes children’s novels. Her latest books for kids are Diary of an AFL Legend and Ten published by Allen & Unwin. I grew up in a small town in Malaysia, more of a fishing village really that didn’t even have a bookshop. I was the only Indian kid in a school of Chinese and Malay children who didn’t understand me, teachers who thought I was weird because I wanted to play soccer even though I was a girl and parents who were too busy yelling at each other to pay any attention to me. As a consequence of this fairly difficult upbringing (although there was often a very funny side) I feel very strongly about children finding their own identity and developing the resilience and perseverance to deal with difficult passages in life. I wrote the book Ten – a little book with a big heart about Maya’s dream of playing at Wembley – to inspire children to believe that they could ‘change the ending’ of their own personal stories into something that makes them happy and fulfilled. Unfortunately, his Dad believes that Marcus has a gift for sport – just as long as they can find the right sport! (The author would also like to deny that she has forced her children to play all these sports just to see what can go wrong so that she can write about it!). The Diary of A … series captures the attention of every child who has ever been good at a sport or really bad at one and is especially appealing to reluctant readers. There is a poster from the Singapore police department which states ‘Low Crime doesn’t mean no Crime!’ It adorns taxies on the island state and causes foreigners to stop and stare. This slogan might be one of the reasons that many people do not think ‘crime fiction’ when they think of the Asian novel. Shamini Flint, ex-lawyer and writer, will explain why she believes that dipping our toes into the bloody bath of crime fiction writing is a great way to explore the tensions (as well as the curries and the beer!) within modern Asian society. Join Shamini Flint and Inspector Singh (‘It’s impossible not to warm to the portly, sweating, dishevelled, wheezing Inspector Singh – the Guardian) as she takes us on a journey through the back streets of Asia. James Foley makes books for courageous kids. These include 'The Last Viking' (2011) and 'The Last Viking Return' (2014), 'In The Lion' (2012), 'Brobot' (2016) and the CBCA shortlisted 'My Dead Bunn'y (2015). He writes and draws, gives talks and runs workshops. He comes from a long line of queuing enthusiasts. 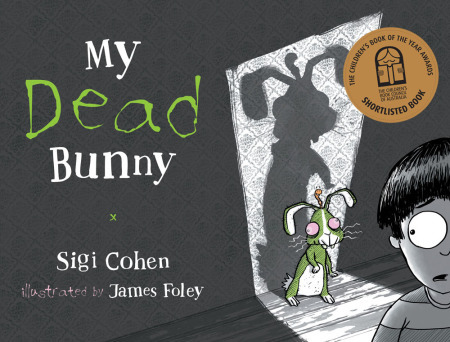 Join James Foley, illustrator of the CBCA-shortlisted picture book 'My Dead Bunny', for a behind-the-scenes look at how the book was made. 'Brobot' will be the focus for the Family program session. I am an illustrator, author and artist living in Manly Brisbane. Ever since I was a young child I have made picture books from my stories and artwork. I am also passionate about looking after our environment, and engaging young children issues around sustainability. I believe for the spiritual and physical health of ourselves and our planet, we need to increase our connection to the land. I have two published children's books to date, and am in the process on working on two more. I wrote and illustrated 'A Patch from Scratch' about my family's adventures creating our own vegetable garden and raising chickens in our small suburban yard. This was published by Penguin Random House in March 2016. 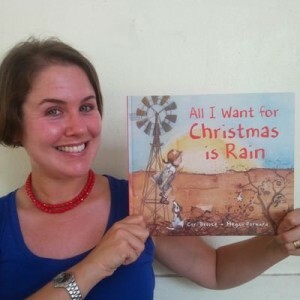 I illustrated 'All I Want for Christmas is Rain' (written by Cori Brooke) about a little girl living on a drought stricken cattle property in western Queensland. This was published by New Frontier Publishing in October 2016. I am very excited that both books have been shortlisted for The Children's Book Council of Australia Book of the Year Awards for 2017. I will talk about my process – giving the children an idea of where books come from and how I approach my work. A live observational drawing demonstration. Showing some books I made in my childhood. An interactive walk around a display of my original artwork and working drawings, reference material, plants and photos I used as inspiration for my illustrations. 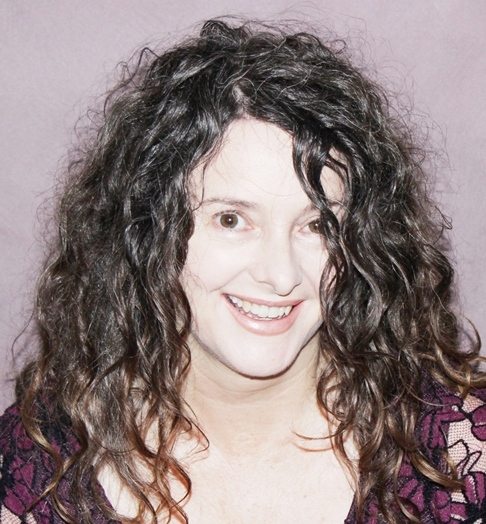 Karen Foxlee is a YA and children's author who lives and writes in South East Queensland. Her multi-award winning novels are published around the world. 'Ophelia and the Marvellous Boy' was a popular read in Readers Cup State Finals 2015. Her latest book for younger readers 'A Most Magical Girl' has been shortlisted in the 2017 CBCA Book of Year Awards. Lee FullARTon is a practicing and teaching artist. Lee met Narelle Oliver many years ago at a literature festival and they instantaneously struck up a friendship and connection through their passion for children’s engagement in art, story and printmaking. In 2012 Lee and Narelle worked closely together on ‘The Art of Story’ an Artist in Residence Project funded by Arts Queensland. Lee is honoured to curate and produce the ‘Cecil’ exhibition and accompanying projects with children and artists for SAFI 2017. Come and find out who Cecil is and his desire to be in a book. Curator Lee FullARTon will guide students to take a closer look at the original works from the last book by renowned author and illustrator Narelle Oliver. The exhibition also reveals connections to the many loved picture books created by Narelle and insight into her ideas, process and art practice. Students will also have an opportunity to participate in hands on activities and AR experiences in the gallery. Curator Lee FullARTon will share insights into the development and creation of I want to be in a Book by author and illustrator Narelle Oliver, the curatorial brief and accompanying projects developed specifically for the exhibition. The projects include the Print and Projection project created with Blair State School and Bethany Lutheran with Lee and filmmakers Miles Blow and Jules Print, the Augmented Reality project by media artist Tyronne Curtis and the installation of Narelle’s studio by Megan Daley and Robyn Dean. 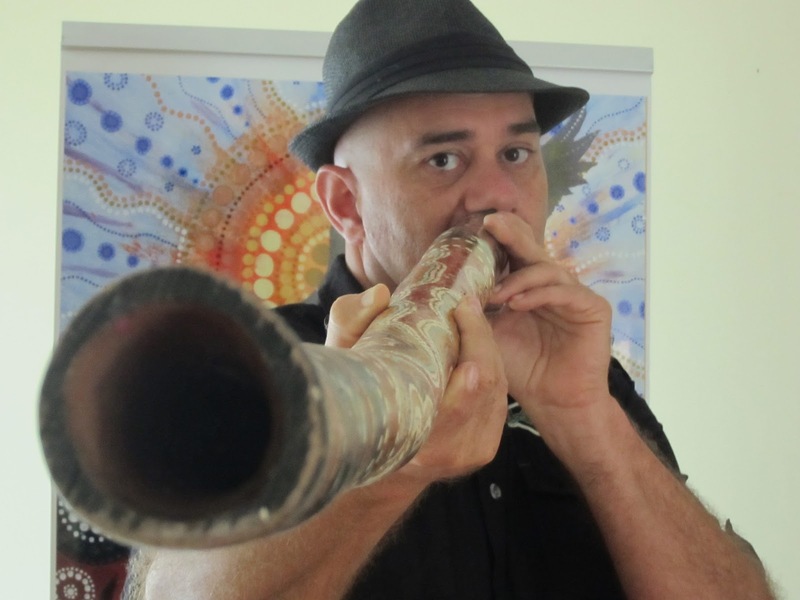 Artist Lee FullARTon will share with children the story and illustrations from Narelle Oliver’s picture book I want to be in a Book, featured in the exhibition at the Ipswich Community Gallery. Lee will introduce children to Narelle’s trademark linocut techniques featured in her picture books. Inspired by her work children will then create their own printing plate using dense foam and print a series of prints in a fun filled hands on workshop. 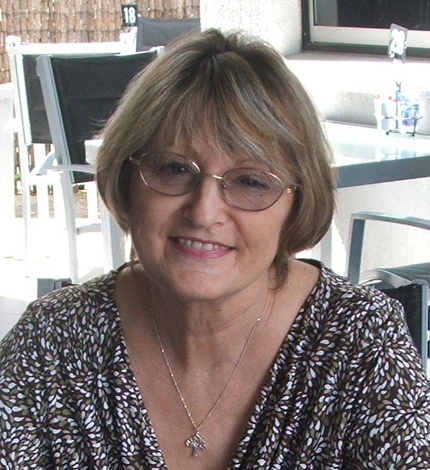 Sandy Fussell’s Australian and international publication credits include poetry, short stories, fiction and non-fiction. Her greatest writing love is children’s literature which she discovered as a parent facing the challenge of boys who didn’t want to read. 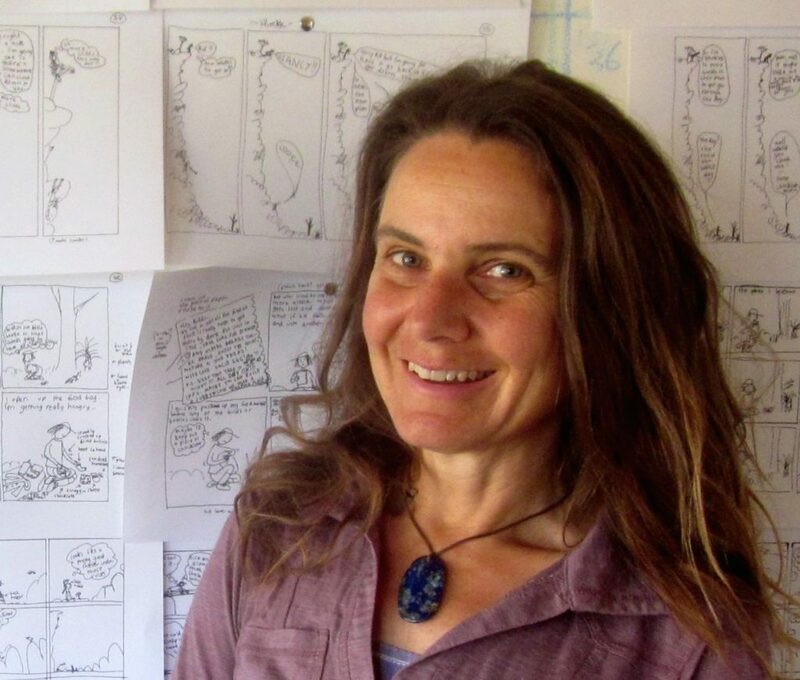 Her novel 'Polar Boy' was shortlisted for Australian Children’s Book of the Year, her 'Samurai Kids' series received an international award for stories about disability and her picture book, 'Sad the Dog', was reviewed in the New York Times. She is an Information and Communication Technologies consultant, book reviewer for a national newspaper, an enthusiastic blogger, in-schools Literary Festival Co-ordinator at The Story Crowd and one subject short of a Maths degree. Sandy is often found in a school library waving her practice sword or teaching a Minecraft-based writing workshop. Her biggest claim to fame is a star in the main street of Grenfell along with legitimately famous literary people like Patrick White and Thomas Keneally. Having survived three life-threatening illnesses in recent years, she knows for certain the glass is always half-full. Pointy sticks and loud noises. Samurai training swords and onomatopoeia. A presentation about what it’s like to be a writer – the research, the language and the stories - including a short reading and tips students can use during classroom writing. Sandy retraces the travels and adventures of the Samurai Kids, led by Sensei Kiyaga and Niya Moto, the only one-legged Samurai Kid in Japan. In this eight-book series, seven trainee samurai overcome physical and emotional challenges, on a journey across Japan, China, Korea and Cambodia. Not to mention flood and fire, bears and tigers, shipwrecks and pirates, sharks and wild elephants, bandits and rogue swordsman and something that might not even be human. You can build anything in Minecraft. Even a story. Sandy uses the Minecraft world to help young writers to build an exciting adventure story. Stock your inventory with the tools and resources you need. Use the crafting table to create more vivid description and more sensational action. Write it down before a Creeper explodes your story. Interested in children’s literature? In writing for children? Or encouraging children to write? Join Sandy on a story-telling journey through the unpredictable world of a children’s author, sharing the high times and the low times, secret writing business, Minecrafting stories and the things kids say in the middle of an author presentation. Jack Heath is the author of '500 Minutes of Dange', 'The Cut Out' and 18 other action-packed books for reluctant readers. His books have been translated into several languages, shortlisted for various awards and optioned for film and TV. More Bang For Your Book: In this fast and funny talk, Jack Heath explores what makes a great action novel - and the reasons we read in the first place. Book Links Qld is running a writing comeptition on the theme 'Escape' and Jack's books will be part of the prize with winners announced at the festival. Find out more about the competition. Sally has been writing and drawing for as long as she can remember, and has so far managed to avoid getting a real job. She has illustrated more than thirty books as well as writing and illustrating her own picture books, non-fiction books and novels. Her most recent picture book is One Step at a Time, written by Jane Jolly and published by MidnightSun, which was awarded an Honour in this year’s CBCA Picture Book of the Year Awards. Their new collaboration, Papa Sky, will be released in October 2017. Sally has worked with Shamini Flint on many titles, including the Diary of . . . series. The tenth, Diary of an AFL Legend, was released in time for the current Fotty season. The first book in their new series is coming in 2018. Sally’s commissioned artwork ranges in scale from wine labels to a mural for the Singapore Zoo to painting a life size baby elephant sculpture for the Melbourne Zoo. Much of her work draws on her experiences travelling and living in Asia. Her work has also been recognised through fellowships from the Asialink Foundation, The May Gibbs Children’s Literature Trust, Varuna - the Writers’ Centre and Arts SA. Her original artwork and lino prints have been exhibited in Australia and Asia including in the Waterhouse Natural History Art Prize and is held in collections around the world. Sally will talk about the messy process of turning an idea into a finished book, including developing characters, and looking at some of the different illustration techniques she uses. 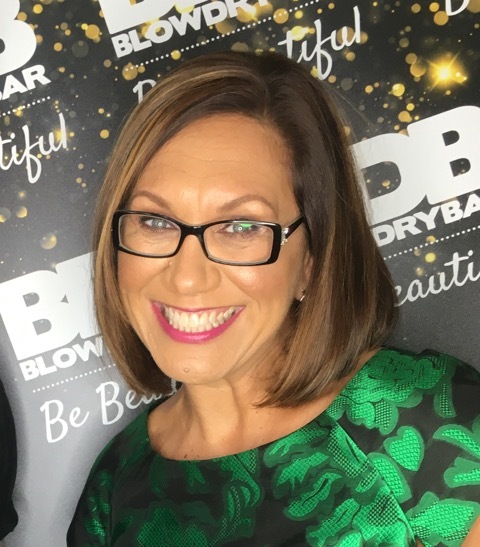 Dr Anita Heiss is the author of non-fiction, historical fiction, commercial women's fiction, poetry, social commentary and travel articles. She is a regular guest at writers' festivals and travels internationally performing her work and lecturing on Indigenous literature. She is a Lifetime Ambassador of the Indigenous Literacy Foundation and a proud member of the Wiradjuri nation of central NSW. Anita is an Advocate for the National Centre of Indigenous Excellence and an Ambassador of Worowa Aboriginal College. She is an Adjunct Professor with Jumbunna Indigenous House of Learning, UTS and currently divides her time between writing, public speaking, MCing, managing the Epic Good Foundation and being a 'creative disruptor'. 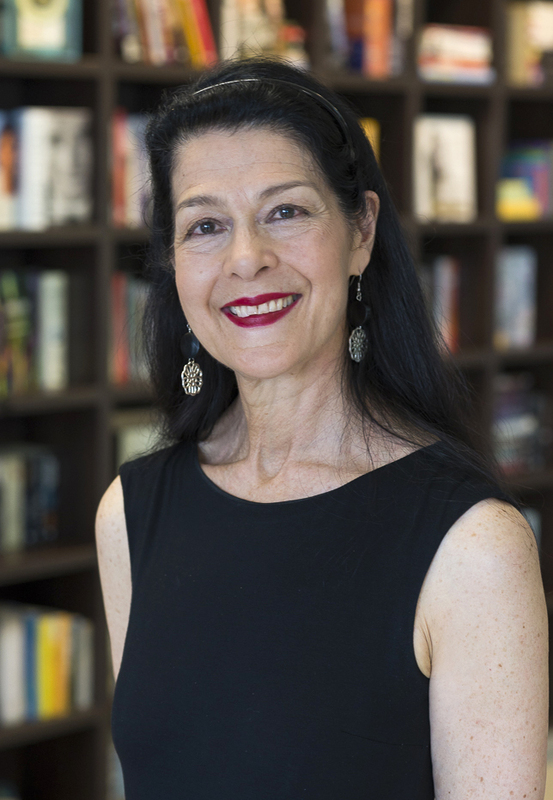 Anita was a finalist in the 2012 Human Rights Awards and the 2013 Australian of the Year Awards and is a Board Member of the State Library of Queensland. Anita's latest book is OUR RACE FOR RECONCILIATION. She currently lives in Brisbane. This will be an interactive session about Anita's latest book OUR RACE FOR RECONCILIATION. The themes of the book include sporting heroes, friendship, life in Ipswich and reconciliation. Students will brainstorm their own story set in Ipswich. Rebecca Johnson is an author, part-time primary school specialist science teacher and mother of two. She has now written over 100 books which have been published in four languages. Rebecca won the 2015 Prime Minister’s Prize for Teaching Science. Rebecca’s latest work, 'Vet Cadets' (Penguin Random House), is a science based, mystery solving series for smart, animal loving children who aren’t afraid to get their hands dirty and love solving problems through science. Published by Penguin Random House and illustrated by Kyla May, her best-selling 'Juliet – Nearly a Vet' series won the 2014 Wilderness Society Environment Award for Children’s Literature, and was twice nominated for the CBCA younger readers category (2014 and 2015), and nominated for the Adelaide Festival Awards for Literature (2014). She was inspired to write this series by her own childhood experiences of growing up next door to a retired vet, and the experiences of her own children and their love of animals, both living and prehistoric. Rebecca has also written a large number of books for younger children, including the Steve Parish Story book range, The Insect Series, The Reptile and Amphibian Series, The First Facts series and has a Dinosaur Series coming soon. Rebecca won the 2016 Griffith University Outstanding Alumni of the Year (Arts, Law and Education). She has also won the 2010 Peter Doherty Award for innovation in Teaching Science. Students will have the opportunity to meet an award winning author of over one hundred children’s books, who will leave them inspired to write narratives of their own. Through a fun and engaging workshop, Rebecca will guide the students through the stages of narrative writing, including the value of great starts, building tension and descriptive language. With interactive role plays and step by step instruction, Rebecca will help the students develop their characters and introduce story threads to weave into the framework of existing stories. 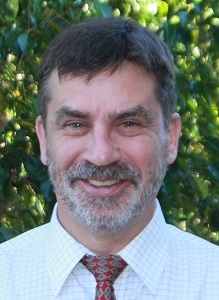 Dr Andrew King is an engineer and teacher from Brisbane. Engibears have been part of Andrew’s family for many years. They were created while Andrew played and shared stories with his children. Andrew thinks he is very lucky to be working with Benjamin Johnston, a Sydney-based architect and illustrator. Ben’s fantastic illustrations have brought Engibears and Munnagong, the city in which they live, to life. The Engibears series includes three books; Engibear’s Dream, Engibear’s Bridge and Engilina’s Trains. The books are designed to introduce children to engineering through friendly characters and story. Each book focusses on a particular aspect of engineering and, through examples and accompanying activities, is designed to encourage children to try engineering - to “Dream, Design and Develop”. Andrew is passionate about the role that Science, Technology, Engineering and Maths (the STEM subjects) will play in our sustainable future and equally passionate about the importance of STEM education. He regularly talks to students about engineering and facilitates student-centred engineering activities and programs. Dr Sam Lloyd has been dancing and singing her whole life, with a natural love for music, song and movement and over 20 years dance and singing experience. 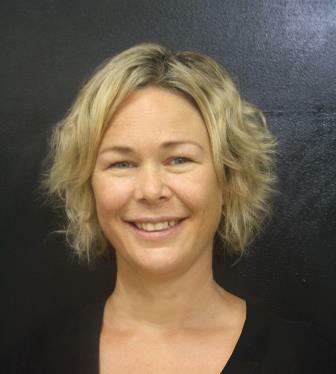 Sam has over ten years dance teaching experience – she is a qualified FATD modern and tap (with Honours) teacher and has worked extensively in Sydney with Dance Network and in Wollongong with the University of Wollongong, where she worked and performed. 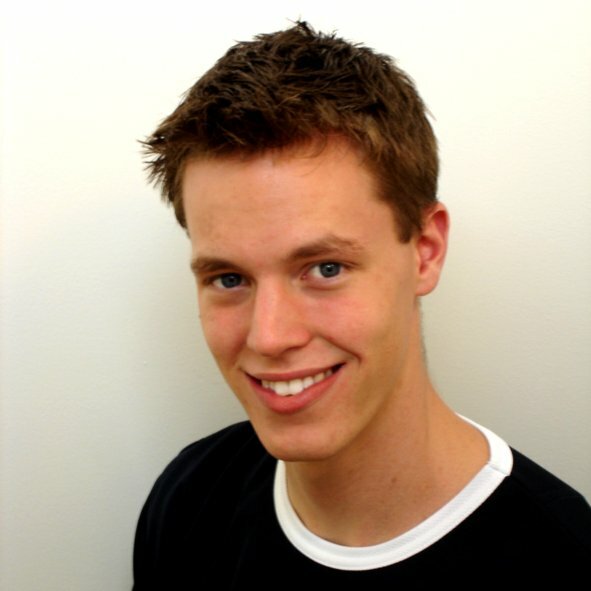 Sam has danced professionally in Sydney, Wollongong and London. Sam has also has substantial back stage, stage make-up and hair experience. Sam has a passion for singing, having sung in choirs since the age of 12 and as a lead singer in duos and bands for a number of years. Sam particularly loves teaching children, especially tap, musical theatre and jazz and thoroughly enjoys the challenge of coordinating a show. 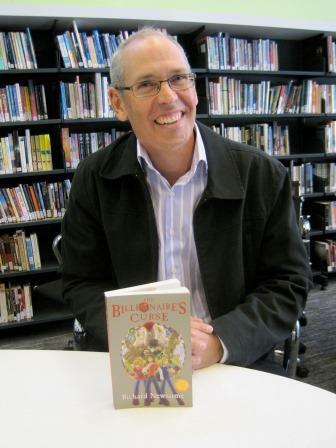 Dave Lowe is the Brisbane-based author of eleven children’s books, published worldwide. The ‘Stinky and Jinks’ series, published by Templar in the UK and Hachette in Australia, chronicles the adventures of a boy and his grumpy, sarcastic hamster. The first book, My Hamster is a Genius, was highly commended at the prestigious Sheffield Book Awards in the UK. The series – six books in total – has been translated into six languages so far. Dave’s next series featured Squirrel Boy, a new kind of superhero, and his 73 year-old sidekick, Mrs Onions. The first book, Squirrel Boy vs The Bogeyman, won the Lancashire Fantastic Book Award, voted for by kids. June 2017 sees the Australian release of the first two books in a new series, about an explorer and his highly adventurous daughter, Holly. The first book, The Incredible Dadventure, has been chosen for the UK-wide Summer Reading Challenge. The second book is The Mumbelievable Challenge, and the third book – The Spectacular Holly-Day – will be released in Australia later in the year. Dave has taken his fun, interactive sessions to many schools and libraries in the UK and Australia, and has presented at many festivals, including the prestigious Edinburgh, Bath and Cheltenham Book Festivals in the UK, and the Brisbane Writers Festival, Whitsunday Young Voices and the Somerset Celebration of Literature in Australia. Dave’s hobbies include reading, football, and asking his daughters to tidy their rooms. In this interactive, fun talk, Dave discusses the inspiration for his new series, The Incredible Dadventure, and looks at how every family can be a treasure trove of ideas. There's also a reading from the Dadventure books, and a virtual treasure hunt! Lucia is an award winning children's book illustrator born and bred in Livorno, Italy. She moved to Australia in 2007 and she now lives and works on the beautiful Gold Coast. 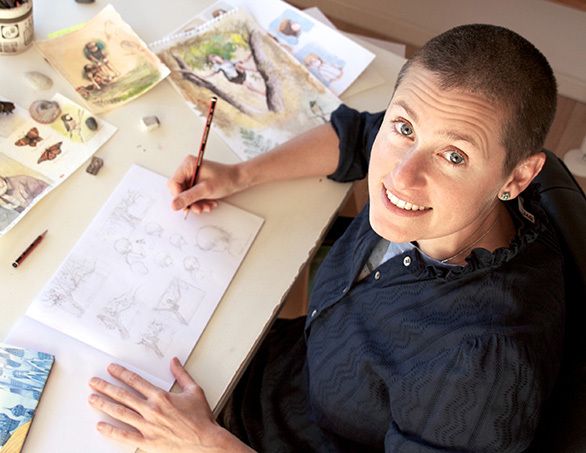 Lucia has collaborated with top Australian and English Publishers and illustrated more than twenty books, among which the CBCA Honour Book and Prime Minister Award shortlisted 'Come Down, Cat! ', written by award winning author Sonya Hartnett, CBCA shortlisted 'Family Forest' and the 44 books of the best selling series Our Australian Girl. Although her imaginative illustrations are always recognisable, she likes to changes her style and techniques for each book, to create a different mood to different stories. Her last published book is 'Enough Apples', by Kim Kane, 2017. Lucia will introduce herself and her work and briefly describe how illustrations in picture books are created. Subsequently the students will be challenged to create one or more characters. She will show them how to use simple, basic shapes to explore the general look and feel of a character and then how to add details and infuse them with unique traits and original features. 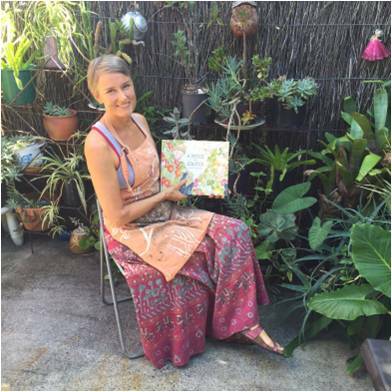 Yvonne Mes is a children’s author and illustrator from Brisbane. 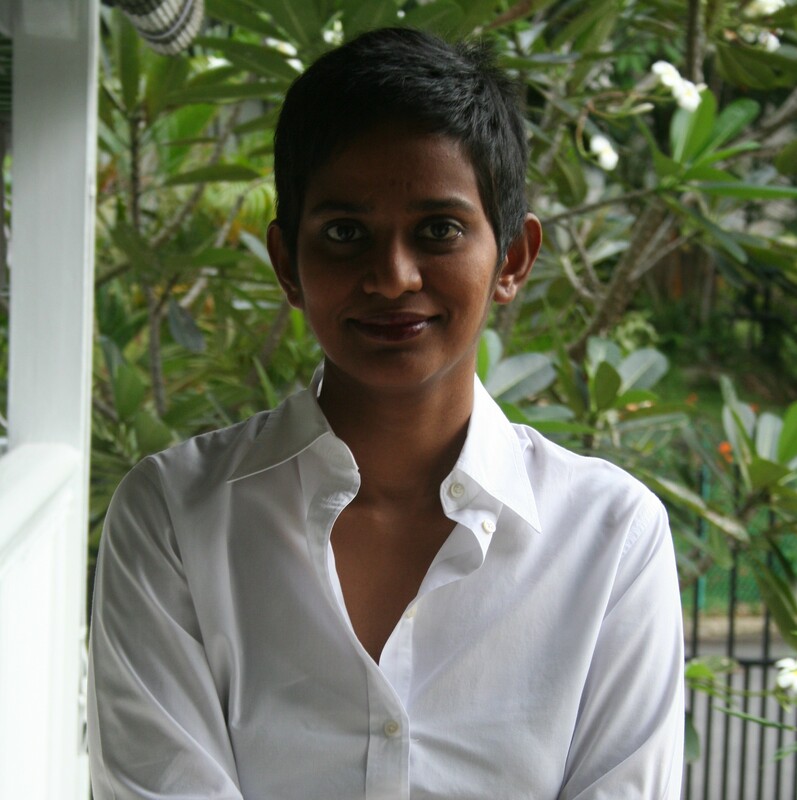 She writes fiction and non-fiction in the form of picture books, junior fiction and short stories. Her stories playfully expand perspectives and invite feelings. Her picture book 'Meet Sidney Nola' (Penguin Random House) was listed on the 2016 Premier's Reading Challenge. Her picture book' Oliver's Grumble' was released in 2015 and will be re-released with Yellow Brick Books in 2017. Her short stories are published in The School Magazine and in several anthologies. Yvonne has many years experience of working with children of all ages, abilities, and cultures. She has a Bachelor of Children's Services, Certificates in Professional Children's Writing, Visual Arts as well as Training and Assessment. Yvonne presents and delivers workshops to grown-ups but is most in her element when acting out stories with children during school visits. Yvonne coordinates Write Links, the Brisbane children's writers group supported by Book Links (Qld) Inc and is a member of SCBWI, QWC and several other professional writing bodies. Yvonne grew up in Amsterdam but has made her home in Australia. Her three sons make sure she is never lost for inspiration. Her mission: sneak a quiet cup of hot coffee. Result: cold coffee served with a side of noise. 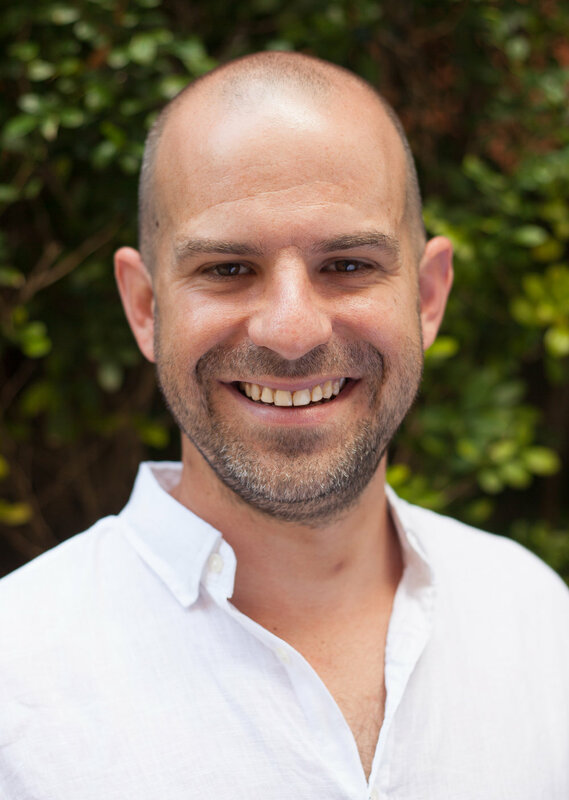 Richard Newsome lives in Brisbane and has worked as a journalist for daily newspapers, radio and TV; as a consultant with one of the world’s foremost strategy consultancies; and as communications director of a multinational media company. 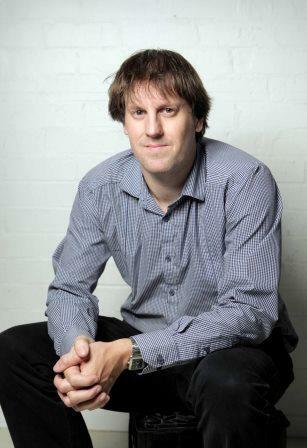 Richard’s debut novel, 'The Billionaire’s Curse', won the inaugural Text Prize for Children’s and Young Adult writing. It is the first volume in a six-part series, and has been sold to publishers in the United States, Canada, Australia, Germany, Poland, Italy, Spain and Turkey. The book started as a bedtime story for his children and it took Richard ten years to get around to finishing it. The sixth and last book in the series, 'The Curiosity Machine', was published in late 2016. There’s more to telling a great story than good guys, bad guys and lots of explosions … though that is a pretty good start. Learn the basics of the art of storytelling from creating amazing characters to placing them in all sorts of trouble, and getting them to safety (eventually). Clint Petersen has been pulling things apart since he was a child, turning items into other objects. These days people don't usually complain when he does this. Instead they're excited to see his latest creation and can't wait to find out what he'll make next. Clint creates art using timber and metal as well as recycling items such as broken pocket watches. See many of Avril Sabine and Clint Petersen's steampunk creations including clothing, jewellery and art and hear about some of the aspects that makes something steampunk. Learn practical tips you can take away with you to create your own steampunk items. Natalie Jane Prior's numerous books for children include The Fairy Dancers and The Tales of Mrs Mancini. She loves writing classic, child-friendly books that capture the essence of her own childhood reading experiences, described in her bestselling picture book, Lucy's Book (Lothian, 2017). Natalie has enjoyed a longstanding artistic partnership with Sydney-based illustrator Cheryl Orsini, and in September 2017, ABC Books will publish Natalie and Cheryl's sequel to the popular story collection The Fairy Dancers, The Fairy Dancers: Dancing Days. Natalie lives with her family in Brisbane. Storytime with Natalie Jane Prior, author of The Fairy Dancers. Be one of the first to hear stories from the brand new Fairy Dancers title, The Fairy Dancers: Dancing Days. Come dressed in your dancing clothes and enjoy yourself with dancing games, craft, and a competition to find the best Fairy Dancer. Ann-Marie Finn is the creative director of Yellow Brick Books. She is also an author and illustrator of children's books, and has been in the creative industry for almost 20 years. Ann-Marie is the proud owner of The Mad Hatters Bookshop in Manly, Queensland. Originally from the UK, she now lives in Brisbane with her two boys, and a lot of books. Picture books and middle grade only. No Sci-fi, poetry collections or Christian works. Elaine Ouston has a Master of Letters in Creative Writing. She is managing editor at Morris Publishing Australia. Through Gondor Writers' Centre she offers many services to authors interested in preparing for submission or self-publishing – including manuscript appraisals, edits and writing workshops. She organises literary festivals and school literary camps for Australian Literary Festivals and Book Fairs. 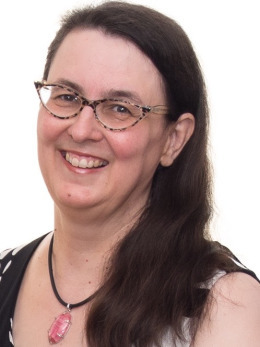 She has been published in The School Magazine and has many published children books, including picture books, chapter books, and a middle grade fantasy series, The Mystery of Nida Valley, containing Australia's megafauna. She is passionate about teaching children about Australia's megafauna. She has a non-fiction picture book about the animals, Meet the Magafauna. Her latest book was a picture book called Dippy the Dancing Diprotodon featuring megafauna's diprotodon and the marsupial lion. This book was the first in a series of picture books about how the megafauna lived and interacted. The second book in the series is in production. She is currently working on a young adult fantasy novel. Elaine will appraise all genres except picture books. Illustration Portfolios: Send one sample jpeg and then bring your portfolio on the day. Please send your work as soon as it is available, but will accept works up to August 19. 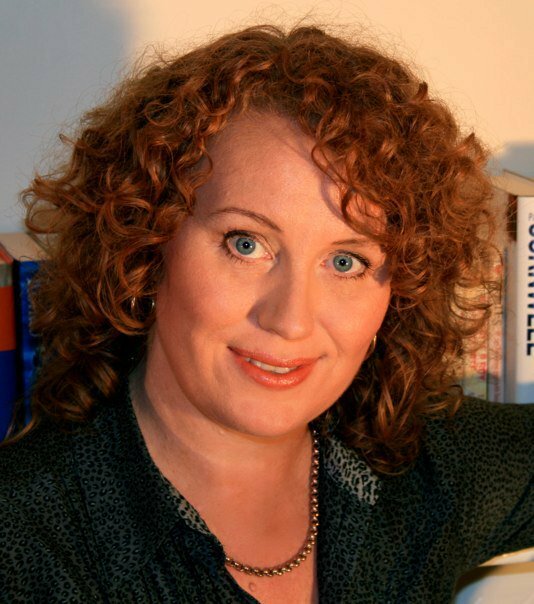 Emma Mactaggart is an award winning author, speaker and publisher. She has been teaching the craft of writing and illustrating to children and adults for the last eleven years via her Child Writes program. Her publishing business, a small press with a big purpose, Boogie Books, is the largest publisher in the world on Amazon of children’s picture books written by children for children. These same books also FLY with Jetstar as part of their in-flight entertainment system. 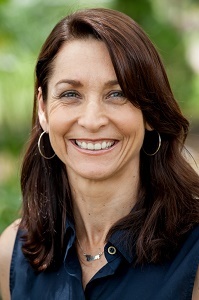 Emma is a regular guest on ABC Southern Queensland Radio with host Belinda Sanders talking about books, and if she isn’t consuming them herself, she is creating them. ‘Imagine’ won two international awards – an IPPY gold medal and a gold Moonbeam Award, both for the eBook version. Her latest project is as publisher of author Jo-Ann Capp’s novella ‘Four Hot Chips’ and she has written a children’s picture book for adults with illus trator Mary-Kate Khoo, ‘Where is the True Ewe'. Emma wrote and originally published ‘Lily Fabourama Glamourama’ in 2004 and it has been reimagined and gets a second lease of life with Ester De Boer as illustrator and it has just won an IPPY silver medal. Emma coordinated the success picture book project for the Melanoma Awareness Foundation, ‘Melanie & Me’. She is also the Founder of International Read to Me! Day, focused on the importance of reading regularly to children. LiveWriteShare – bringing creativity to adults is being supported by MySpringDay and is also available via the online platform Teachable. Middle Grade novels and Picture books are preferred but will also critique YA, narrative non-fiction and non-fiction. Penguin Random House publishes a wide variety of genres and are always looking for new approaches, but generally does not publish poetry and rarely Christian text. If you are submitting a picture book, Heather requires the complete manuscript, for non-fiction, middle grade and YA she would prefer three chapters. A short pitch blurb (think back cover blurb) plus a detailed synopsis, especially for middle grade and YA, and/or a chapter breakdown and a description if your work is non-fiction. Add a short paragraph on why this book should be published, including comparitive titles and how it is different or special, include the market it will appeal to and why. Author bio, focusing on why you would be asset to our publishing house, how they can help make the book a success and what you are doing to further your writing experience. Illustration Portfolio: Heather is regularly on the lookout for good illustrators for picture books. Heather would prefer to see something electronically beforehand, as well as a hardcopy portfolio on the day. Please include an illustrator bio which includes projects you’ve worked on, plus some samples of your work (link to your website/blog). Please include your children's illustrations, including illustrations of animals, children and adults todemonstrates the breadth of your style. 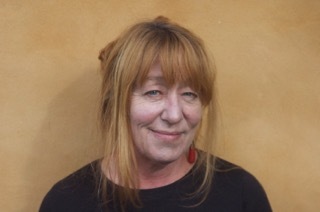 J.R.Poulter Multi-awarded writer /poet with 30+ traditionally published children’s and education books in Australia, UK, USA and Europe, a former senior educator, librarian, book reviewer, she once worked in a circus. Awards include Children’s Choice, New Zealand, Top Ten Children's & YA Books, NZ, Premier’s Recommended Reading List, Australia, Simone Wood Award, USA, Purple Dragonfly and International Book awards. J.R. teaches poetry & prose and heads Word Wings collaborative, 50+ creatives from 20+ countries creating beautiful books. As J.R.McRae, she is an awarded, internationally published poet, fiction / YA writer and artist. Works include novels Free Passage and Cats’ Eyes, Picturebook/YA crossovers Dream of the Fox Women, Tatter Wings and The Dolls’ House in the Forest. International anthologies containing her poetry, stories and art include – Colours of Refuge, Mytho, Musings, A Mosaic, Best of Vines Leaves, Trust and Treachery, 100 Stories for Queensland, Basics of Life, Quadrant Book of Poetry, 2000-2010, The Spirit of Poe, Poe-It, Guide to Sydney Rivers. Word Wings publishes and has plans to publish a cross-section of books for children, YA and general readership. We have already received a number of awards for our books - Winner, Purple Dragonfly Award for Picture book 5 years & Younger and Best Illustrations; Award-Winning Finalist, International Book award; LiFE Award, Literature for Environment. Nine of our books have received 5 Star reviews from Readers' Favorite international review & award site. So far, our publications include - Picture books (in prose and in verse) , Picture book/graphic novel crossovers, Picture book/Comic crossovers, Chapter books, Junior novels, Novels, Poetry collections, Education series. Julieann is a multi-published author who is a paper cut survivor with an incurable addiction to Cadbury chocolate. She writes and illustrates children’s picture books, as well as indulges in the creation of her own worlds and characters in upper young adult and new adult novels under the pseudonym, Amelia Grace. 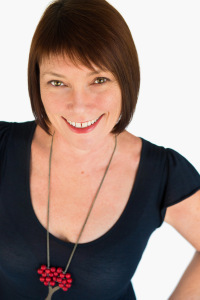 Prior to her career as a writer, Julieann was an educator with Education Queensland for 25 years. She majored in creative writing and art whilst completing her Bachelor of Education. She regularly attends book workshops, talks and conferences to keep her knowledge about all things bookish, fresh and up-to-date, and is a member of the Queensland Writers Centre, Write Links and Share Your Story. 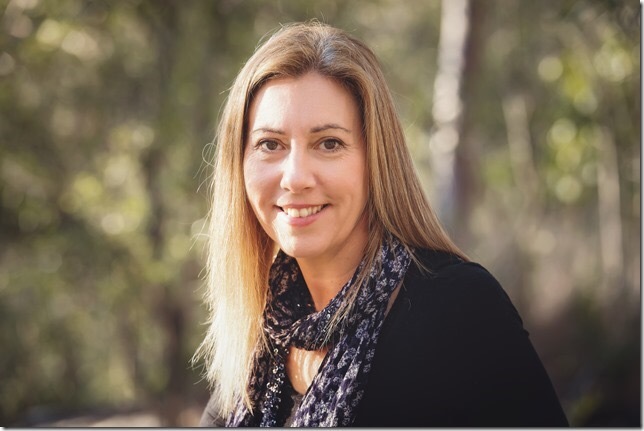 Julieann is the senior editor at Humble Sage Games and Lilly Pilly Publishing, and is the final overarching editor for Education Queensland's Moreton Bay Environmental Education Centre. To satisfy Julieann's book fetish tendencies, she is a book reviewer for Creative Kids Tales, booksteaandcupcakesblog.wordpress.com, and Big Sky Publishing. Julieann is continually inspired by the gift of imagination and the power of words. She is a self-confessed tea ninja and book-smell-aholic, and has discovered that she is unable to type or write with chocolate in her hand. 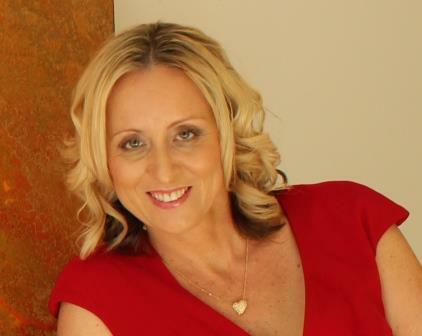 Julieann is the director of Lilly Pilly Publishing. In 2013, the very first book rolled off the printing press. 'Vanilla Swirl' was written and illustrated purely to raise money to find a cure for Meniere's disease. After the success of 'Vanilla Swirl', Lilly Pilly Publishing opened its doors in 2015 due to an overwhelming demand from authors asking for assistance with publishing. Since then, many authors have been successfully published, with Lilly Pilly Publishing helping authors with the experience of an academic mind, an author's passion, an illustrator's hand, and a creative heart. Lilly Pilly Publishing has continued to grow and is proud to also work in collaboration with traditionally published authors as they give back to the community. Saturday session - Julieann will discuss indie publishing from the publishers point of view - what is expected, as well as before, during and after your book has arrived, and marketing and selling. Attendees will receive a checklist of steps towards creating their own indie publishing journey, to educate and empower, making the process of author/indie publisher easier to understand and achieve. Kristina is the Children’s Publisher at the University of Queensland Press (UQP) one of Australia’s most respected independent publishing houses. UQP publishes a range of literary books, from literary fiction and non-fiction, to poetry, Indigenous writing and children’s books. She loves getting to think like a kid – every day! For her one-on-one assessments at StoryArts Festival Ipswich, Kristina will be looking at young adult, middle grade readers and young reader books. Publishing at RMIT in Melbourne. 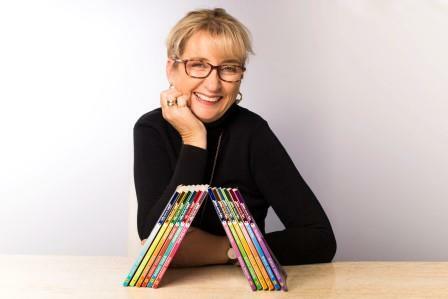 Her authors include award-winning author Jackie French, who with illustrator Bruce Whatley, has created many internationally renowned, best-selling picture books. Lisa is interested in all genres, and her authors, illustrators and list reflects the breadth of her taste. The panel session with heather Curdie and Kristina Schulz will look at 'The Hard Decisions we Make'. Not interested in: narrative non-fiction, non-fiction, sci-fi, poetry collections and Christian writing. Lisa is currently acquiring: Early childhood to YA – Study the HarperCollins Australia website to get a sense of Lisa’s tastes and list. Please send your manuscript as soon as possible. Illustration Portfolios: Lisa is happy to look at your portfolio on the day. Samples sent earlier will be helpful. NOTE: If it’s a collection of images as a PDF or a Zip file of more than 3MB, please add them to Dropbox or similar and provide Peter Taylor with the link along with your appraisal day and time. 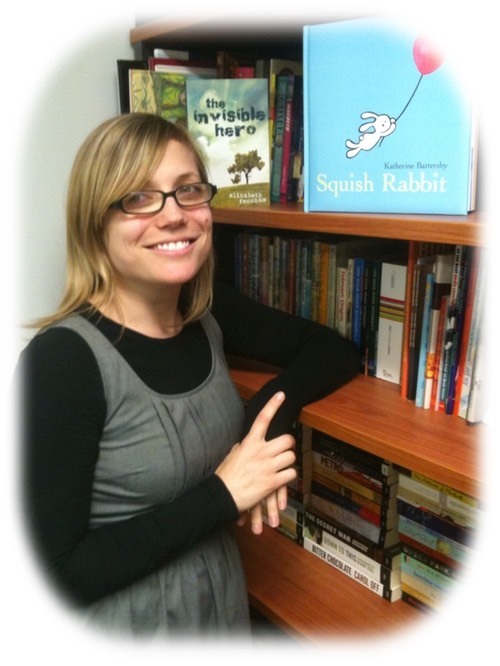 Rochelle Manners is the Director of Rhiza Press and Wombat Books. With qualifications in teaching, counselling, editing and publishing, Rochelle brings a wealth of expertise and knowledge to her roles. She has also acted as a consultant for aspiring authors and loves attending conferences and taking pitches. Since pioneering Wombat Books as a publishing company from the ground up in 2009, and then developing Rhiza Press to specifically take on young adult and adult fiction, Rochelle has been actively involved in every aspect of story development and book production. She is passionate about great books touching lives and living up to the Rhiza motto of Stories that connect. Rochelle is actively seeking great young adult fiction. Rochelle is actively seeking YA novels. 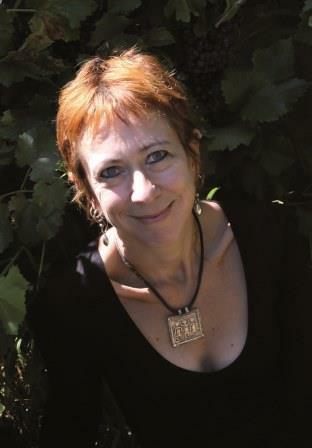 Avril Sabine is an Australian author who writes young adult and children's speculative fiction. She has been writing since she was a young child and wanted to be a writer the moment she realised someone wrote the books she loved to read. Avril is the author of more than fifty titles, including the Dragon Blood series, Rosie's Rangers series and The Irish Wizard. Avril not only loves to write, but enjoys sharing the knowledge and skills she's gained from decades of writing through workshops and school visits. 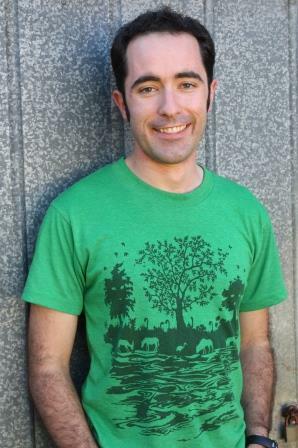 Matt Stanton is a bestselling children's author and illustrator, with over a quarter of a million books in print. 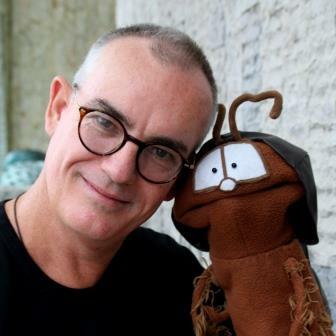 He is the co-creator of seven bestselling picture books, including the mega-hits, There is a Monster Under My Bed Who Farts and This is a Ball. His much-anticipated middle-grade series, Funny Kid, launches around the world from July 2017. Nadia Sunde is one of Australia’s most celebrated and highly acclaimed children’s theatre writers and performers. 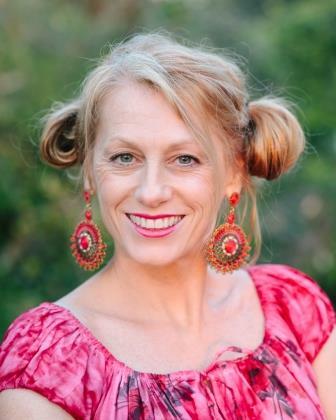 An internationally and nationally awarded singer/songwriter she is also the author of two children's books, an experienced music educator, actress, comedienne and ABC radio presenter. 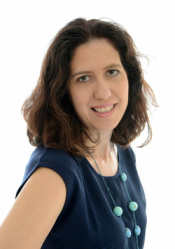 Nadia has written four children's theatre shows and also works as a freelance creative consultant / producer / director / performer on adult and children's theatre. Nadia uses her skills as a professional performer to engage children in a vibrant and interactive presentation, using drama and comedy to activate children's imagination and creative curiosity. Explore the magical world of the Harry Potter books with Professor Frankie Falconette, as she brings to life the characters, creatures and adventures from J.K. Rowling’s bestselling series. Professor Frankie’s Harry Potter events are fun and interactive, designed for children aged 9-12, whether they’re new to the books or a dedicated fan. Children are encouraged to dress in Harry Potter costume and bring their own Harry Potter books for the Professor to stamp with her exclusive stamp. Professor Falconette might be a Harry Potter Enthusiast, but is she really the expert she thinks she is? Find out at StoryArts Festival Ipswich! You’ll be hopping mad if you miss out on this zombie rabbit tale. All 10 of Kim's multi-award winning picture books focus on the preservation of ocean and coastal habitats. The illustrations in her books are hand painted on to silk and are bright, bold and totally unique. Kim has exhibited throughout the world including the USA, Canada and Hong Kong. She has just signed with a Chinese publisher and all her books willl be translated and released on mainland China in 2017. Kim has a gallery and studio, Sea Silks Gallery, at the entrance of the Ramada on the river in Ballina, Northern NSW. Her most recent books is I can Swim a Rainbow. Each book is a work of art and takes approximately 2 years to complete. Among her many books her first book, One Less Fish is a sentimental favourite. The World That We Want won Australian Wilderness Society’s Best Children’s Book Award. Other titles include Tick Tock What's up Croc, Neptune's Nursery, A sea of Words, Turtle's Song and Recipe For Perfect Planet Pie. Kim continues to remind children and adults how important it is to respect the unique beauty of all the varied creatures of nature , especially that of the underwater world. Coral was born Melbourne in 1956 and lives in Hobart, Tasmania. A history in promotion and illustration in newspapers led Coral to create a syndicated children’s page, appearing for 20 years in newspapers throughout Australia and internationally. She studied Fine Art at East Sydney Technical College, Animation at Randwick Technical College, drawing in Florence, Italy and lithography at The Academy of Applied Arts, Prague, Czech Republic. Continuing with work in advertising, film, theatre and magazine production, (including a monthly cartoon in the Woman’s Weekly and articles for the Age, Australian and Vogue), her main focus and love remained with children’s literature. Coral has worked on 60 books for children, in fiction and non-fiction, for trade and educational publishers, in Australia and Internationally. A continued passion for environmental education - in 1999, she was awarded an Arts Fellowship with the Australian Antarctic Division. Returning to the continent several times on tourist ships as artist-in-residence, she has produced many works from these voyages south. Her factual work Antarctica, The Heart Of The World, (ABC Books) won the Environment Award for Children’s Literature in 2004, and was named one of the 10 best Science Books in the USA. Sydney of the Antarctic remains a much loved book and her collaborative book with Alison Lester, One Small Island, (Penguin Books) won four awards in 2012, including the Eve Pownall Information Book of the Year,(CBCA) and The Environment Award for Children’s Literature. The Journey, (Walker Books)(2013) is an eclectic mix of games, maps, puzzles, recipes and story and was also inspired by Antarctica. 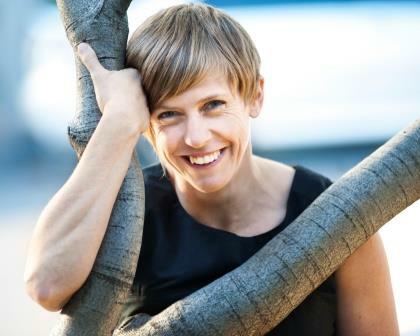 Her latest book, Phasmid was CSIRO’s first children’s title (2015) and won honour book CBCA, shortlisted for the Environment Award and won the Whitley Commendation. She is currently working on 2 fiction titles and three non fiction titles. Three of them also as author. One will be hopefully available for the festival. Creating texts from research to finished art, involving several non fiction works based on environmental themes using the books that I have worked on. Highly creative story telling sessions where I use a variety of ideas and workshop themes to allow children to explore both the written and visual narrative, making up stories from the world around us and using fiction. Illustrative (narrative) workshops - children can create a series of new stories, new characters to then help them to create more, to feel confident that they can all tell stories. Samantha Wheeler lives in Brisbane with her family, two dogs, a cat and a horse. After a varied career involving dairy farmers and teaching, Samantha took up writing in 2009. Her first children’s book, 'Smooch & Rose', was shortlisted for the 2014 Queensland Literary Awards and the Readings Children’s Book Prize, her third, 'Mister Cassowary', was shortlisted for the 2016 Wilderness Society Environment Award for Children’s Literature, the Readings Children’s Book Prize, Speech Pathology Australia Book of the Year Award and was commended in the Royal Zoological Society of New South Wales Whitley Award. 'Wombat Warriors' is Samantha’s fourth book and she hopes it will encourage young readers to become the change of the future. When she’s not writing, or travelling to research her next book, Samantha enjoys visiting schools, riding her horse and going for long doggie walks on the beach. 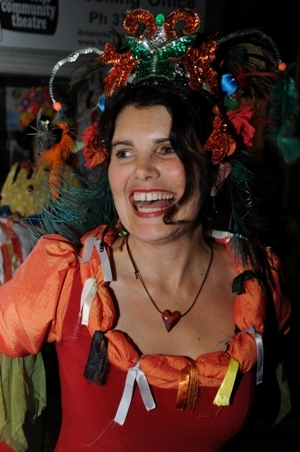 Ailsa performs at festivals as roving poet, Charlotte Raven in a 19th century hoop skirt. Her memoir pieces have appeared in Meanjin and the Monthly and her plays have been performed in the Sydney Children’s Festival, at La Mama for Kids and in small country towns around Australia. Ailsa loves collaborating with kids to write stories together. Book seven in the Squishy Taylor series, 'Squishy Taylor and the Silver Suitcase' was released in May this year. Squishy Taylor is a cheeky, sneaky 11 year old who lives with her dad and step-family in a very crowded apartment. Lukily for Squishy their building is huge - and there's always plenty of mysteries to investigate! Some people think story writing is something you do alone, in silence, with only your own mind for company. But, take it from an experienced collaborator, 340 kids in a room can write an amazing story together! In this session, I’ll read you a little bit of a Squishy Taylor book then tell you how I came to write them. We’ll play some story-making games and finish by writing a massive collaborative group story on the whiteboard. Family session will focus on The Invisitble War. 'The Invisible War: a tale on two scales' is a ground-breaking new comic book created by a team of Victorian artists, scientists, writers and historians. Aimed at both teenagers and adults, the story combines stunning artwork and cutting-edge science to take readers on a unique journey into the human body. Set partly around the muddy trenches of World War One, and partly in the mucus-lined trenches of a nurse's large intestine, the story describes a vast, unseen world populated by bacteria and viruses, where microscopic battles between ancient enemies are waged on a daily basis. How do you make a virus a hero? How would you describe the journey through the human digestive system from the perspective of bacteria? If the immune system were an army, how would you write the war? When telling these stories, how important is conveying the science compared to having a great narrative? In this workshop we will look at The Invisible War for inspiration, examine text in relationship to image in the graphic novel, and write a science adventure of our own.